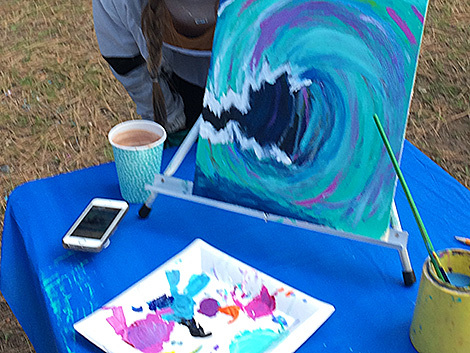 Art ala Carte classes happen at unique outdoor locations as the weather permits. Alison offers art classes in the following media; watercolors, acrylic painting on canvas, mixed media, art journaling and block printing. Class sizes are limited to 8 students, ages 8-13. This September, she will be offering 2 sessions- Mixed Media Madness, and Acrylics on Canvas. In each session, students will practice basic techniques and then create a mini artwork that will go home as an original keepsake. 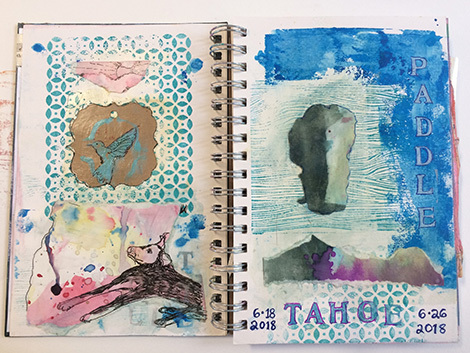 Students will learn about a variety of mixed media journaling techniques, creating a mini artwork of their own to take home. All supplies included. Class is limited to 8 students. Students will learn about acrylic painting techniques, creating a mini artwork of their own to take home. All supplies included. Class is limited to 8 students.